Maybe you and your about-to-be spouse have your own special song that you want to be your first dance. But if you don’t, read on to find out recommendations for the wedding songs that are timeless classics… and a few that definitely should be banned! What makes a timeless classic? Simple lyrics that everyone remembers, a great tune that is easy to waltz to and one that talks about the joys of love and companionship. There are certain wedding songs that have survived the years. Whatever the fashion in music, these songs survive because they encompass simple lyrics, a great tune and they describe what we feel when we set out on the journey of marriage. Can’t Help Falling in Love – Elvis Presley. Everyone loves Elvis, right? Those smoky tones, that vocal range and the talk o things that are meant to be. No-one can fail to be touched by this song. It Had to Be You – Dooley Wilson (from Casablanca). The lyrics say the singer has finally found someone, the marvellous “you”. Another one of the classic wedding songs. Just the Way You Are – Billy Joel. Being accepted just as we are is what everyone wants and being begged not to change is what everyone wants, right? Stand by Me – Ben E King. Again, another great definition of what it’s like to be married. I won’t be afraid I have you standing by me. The Best is Yet To Come – Frank Sinatra. This works as one of the timeless classic wedding songs as it promises yet more happiness and fulfilment. What could be a more optimistic song to start off your married life? Wonderwall – Oasis. Who can forget the start-up of this song, and Liam’s rasping blues as he sang about the wonderwall who can save him? Marry You – Bruno Mars. Obvious really, why this one should be on a classic wedding songs list. Just ignore the bit where he says he is looking for something dumb to do. Make You Feel My Love – Adele. Here is a song where the singer offers her support in a hostile world, or just support. That’s what you want from your partner. Like what makes a timeless classic, the banned song list is highly subjective. Plenty of people might, for example, argue that some of the above songs should be banned because they have been overused and are now clichés. The Macarena – Los Del Rio. What do you think? Do you agree with our wedding songs list? Do you have any suggestions or are there any you would ban? Let us know on our Facebook page. 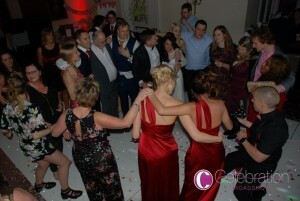 Get in touch start planning the perfect music selection for your celebration…!